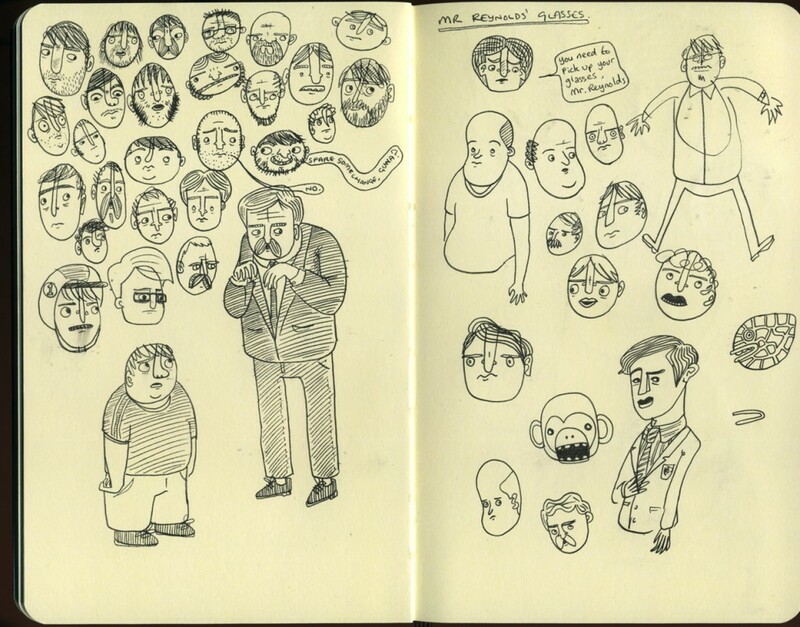 When I first started keeping a sketchbook years ago, I don’t think I really knew what a sketchbook was for. I knew that it was for drawing in, obviously, but I don’t think I knew how to use it. 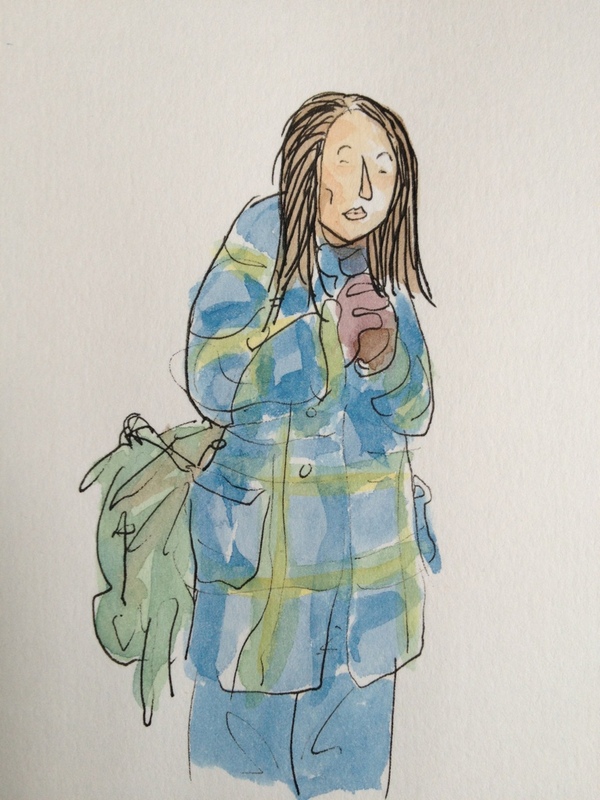 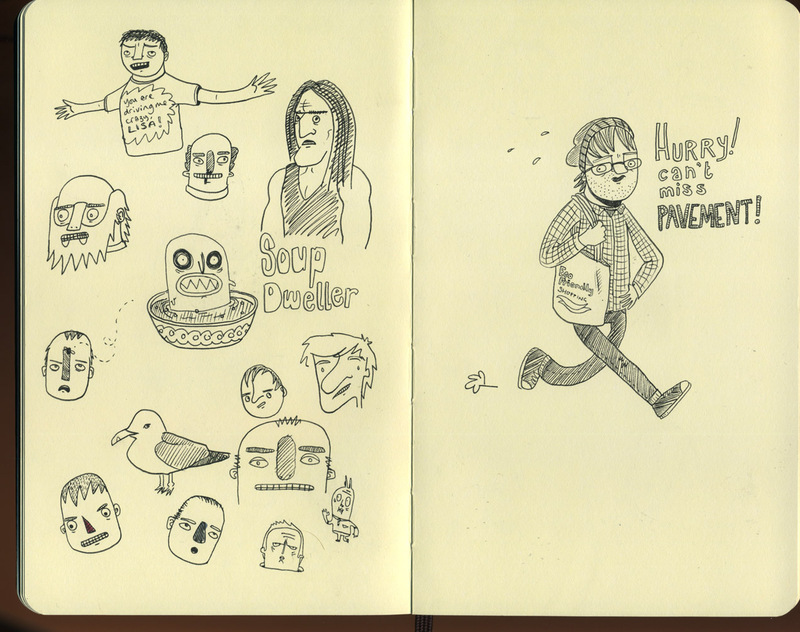 It is only in the past 5 years or so that I think I’ve managed to get the hang of using a sketchbook regularly. 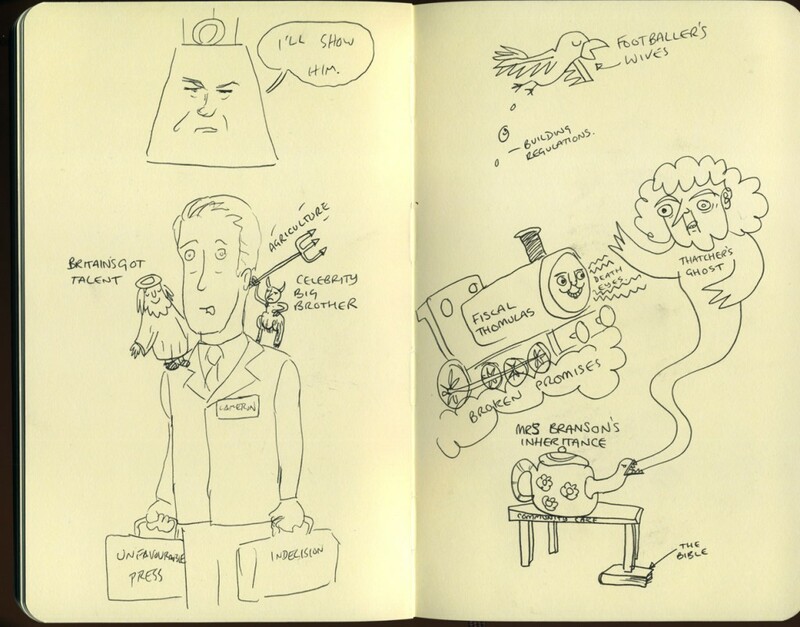 This one was started during the UK leadership debates in April and was finished at the beginning of June. 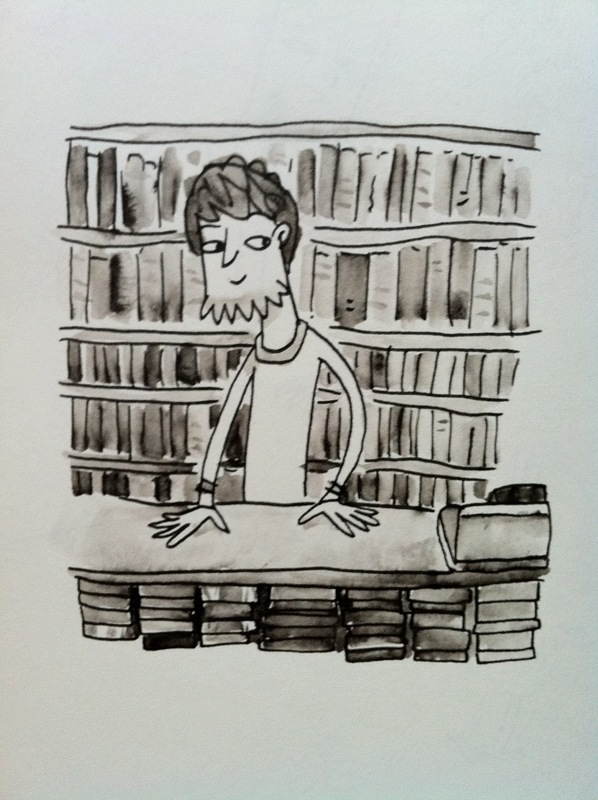 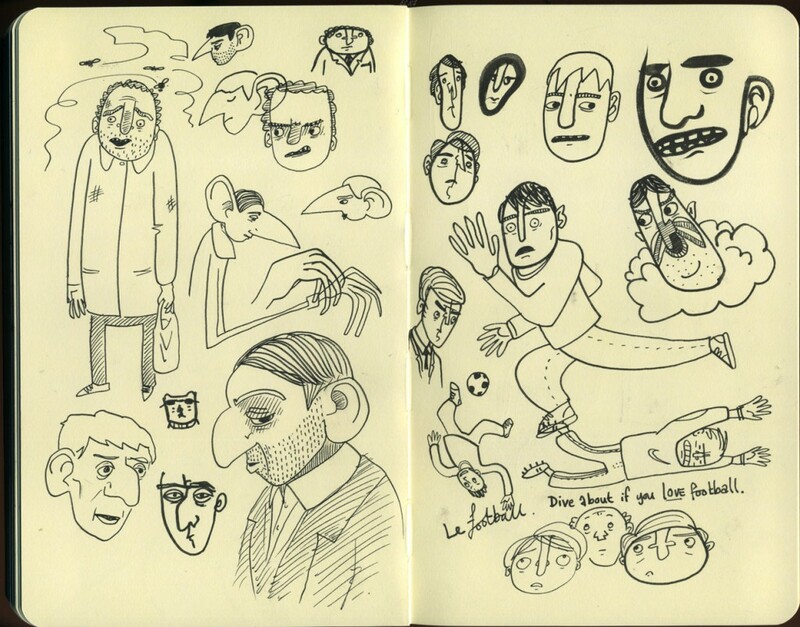 It has travelled with me to the ATP festival and across France, so I like to have relatively sturdy sketchbooks. 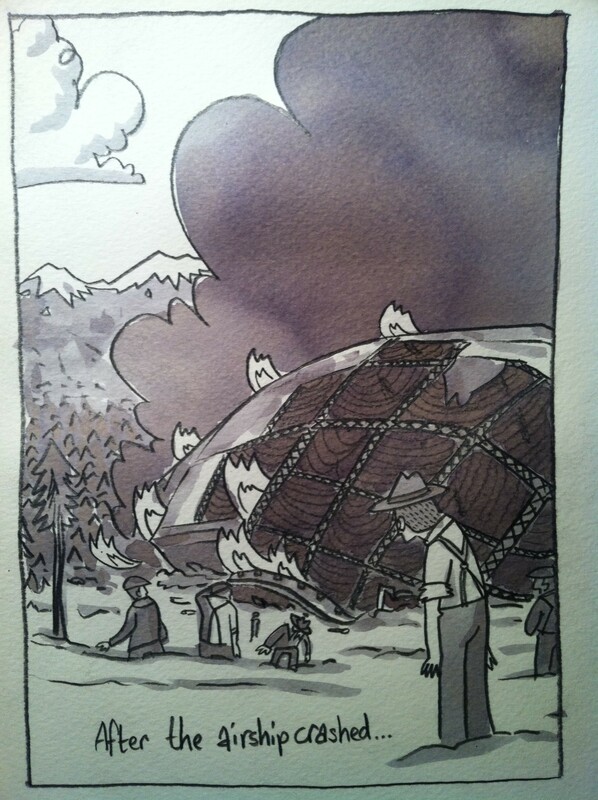 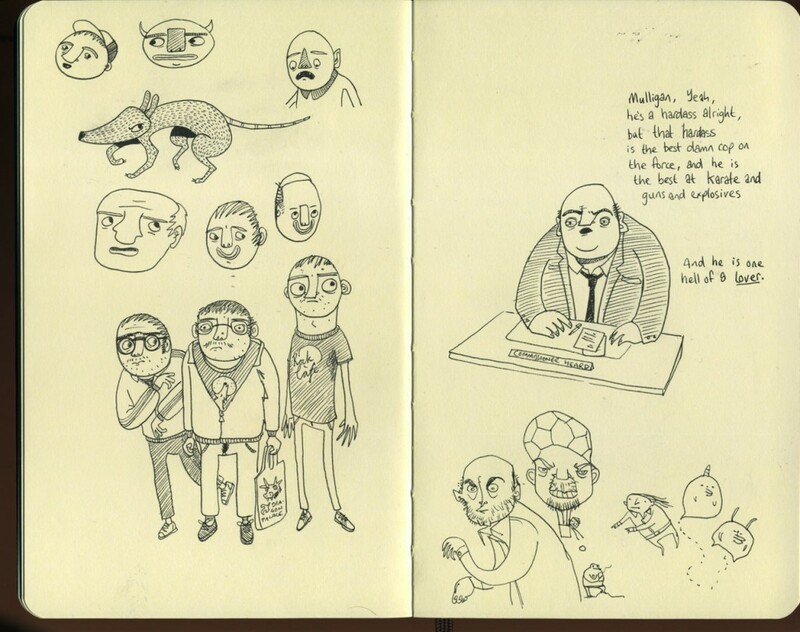 This is a Moleskine Medium sized one, which I think suits the scale that I prefer to work at. 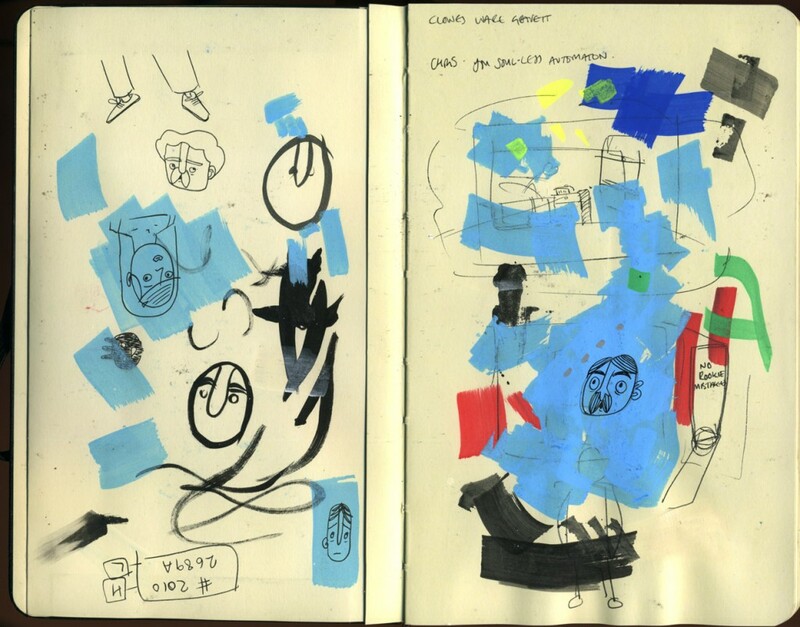 The ‘Ah-Ha’ moment for me regarding sketchbooks was when I realised that each drawing wasn’t a final piece of artwork, and shouldn’t be judged against the same standards. 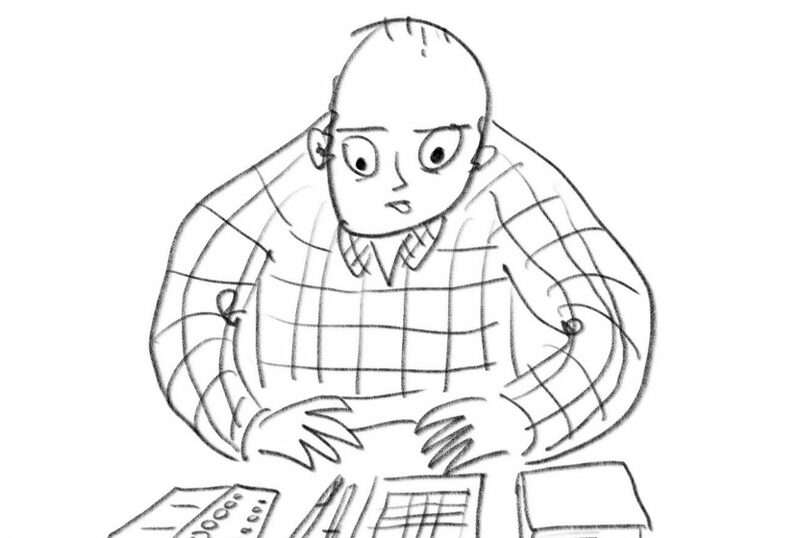 I used to beat myself up about the quality of my drawing, even doing a single drawing per page, which seems like a terrible waste of space to me. 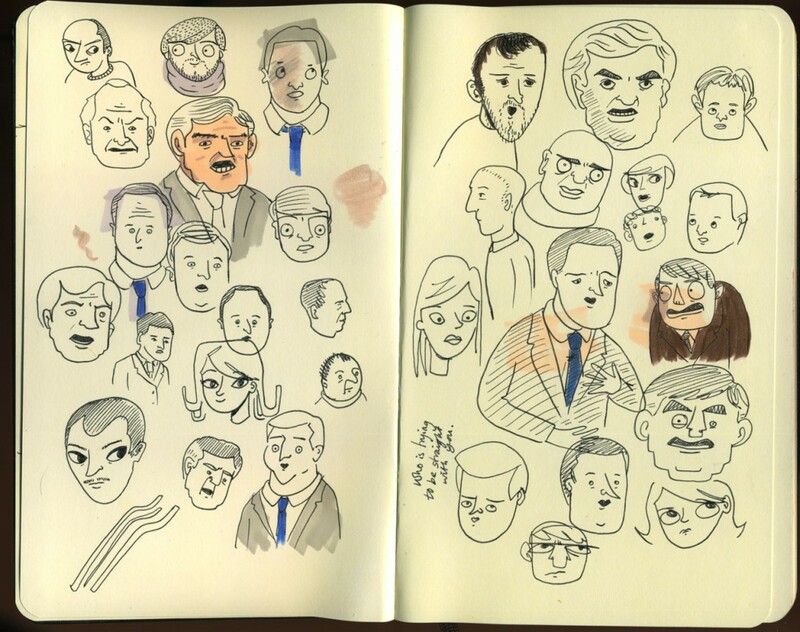 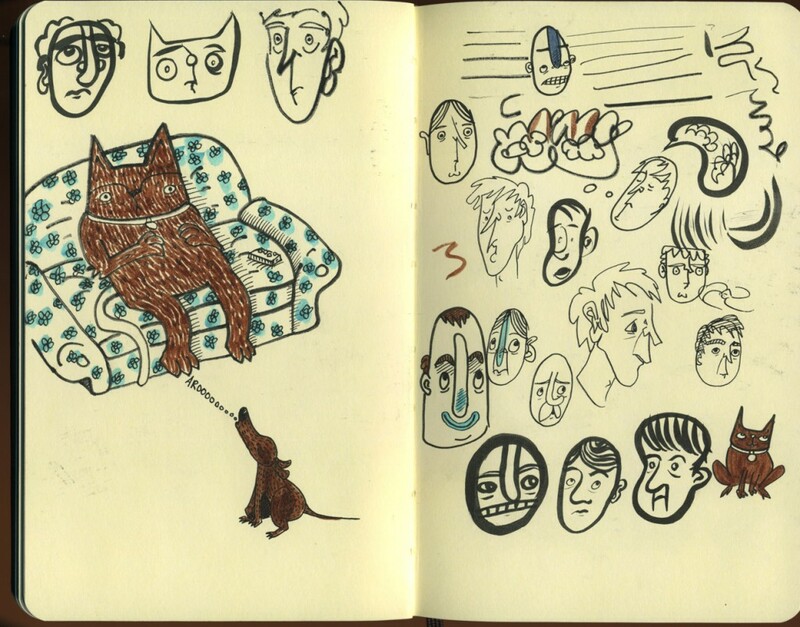 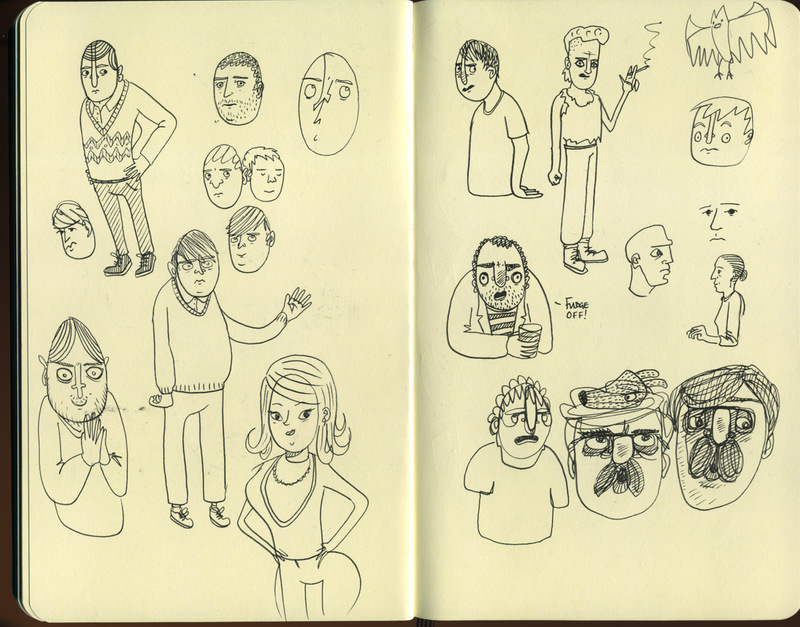 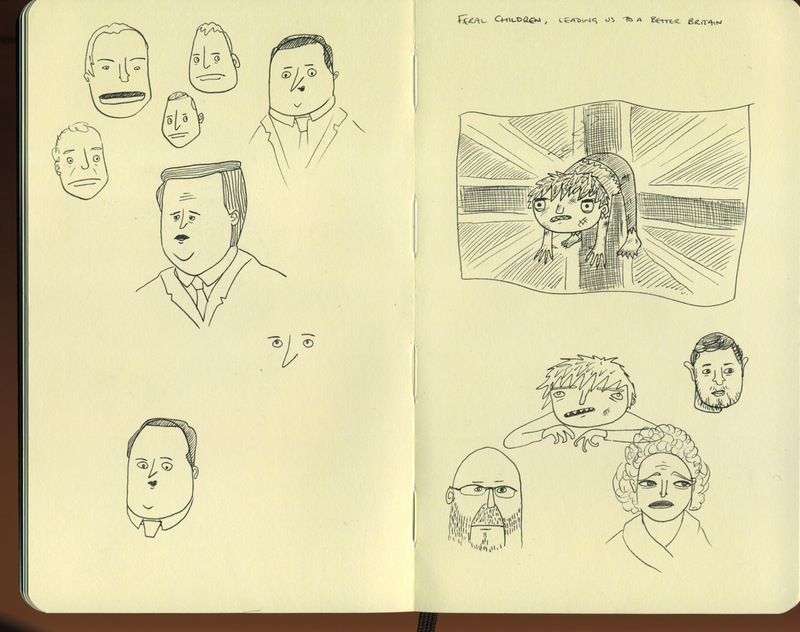 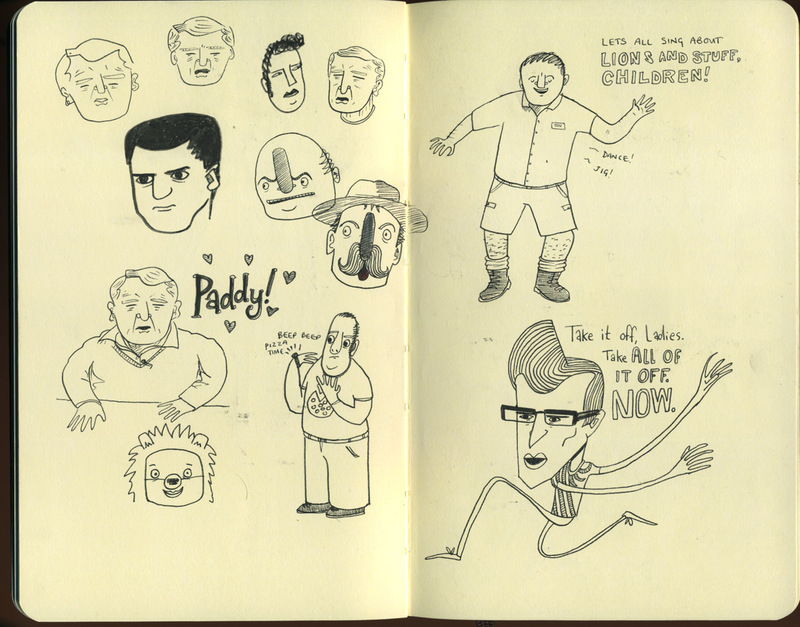 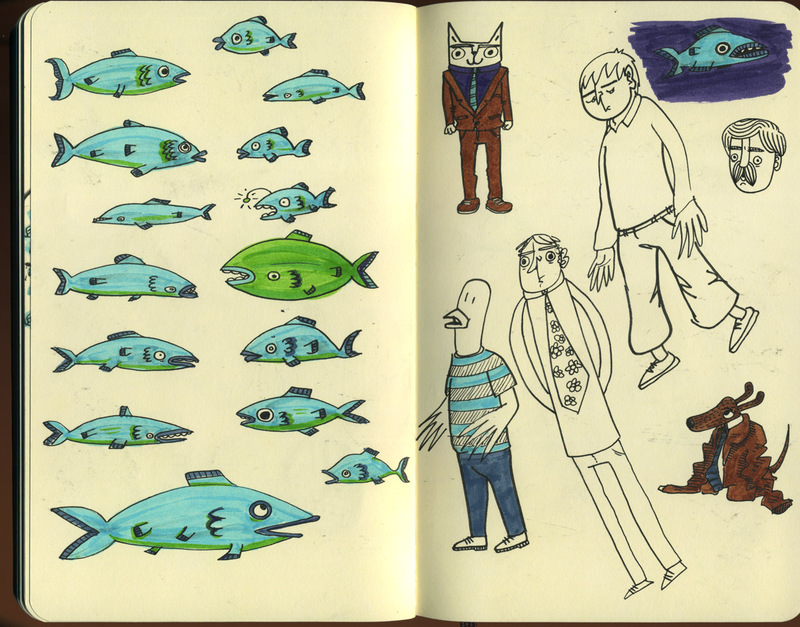 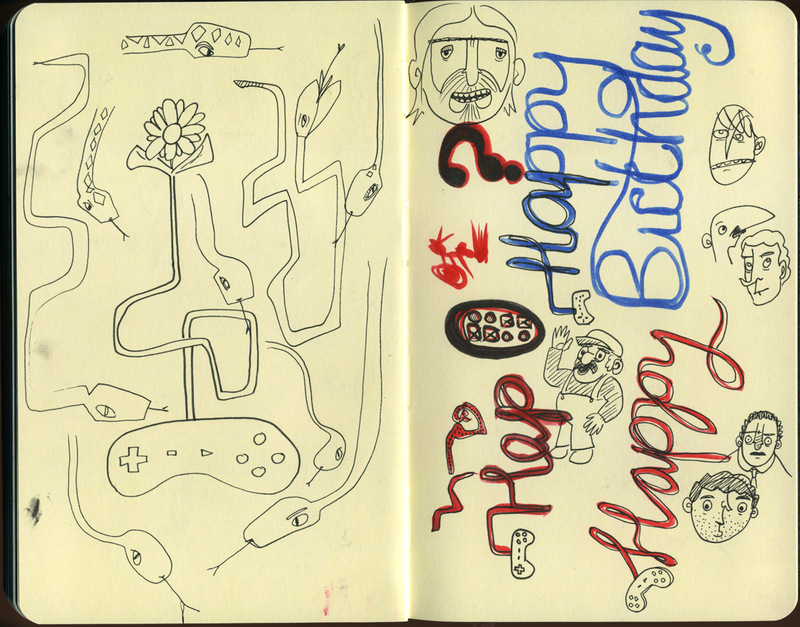 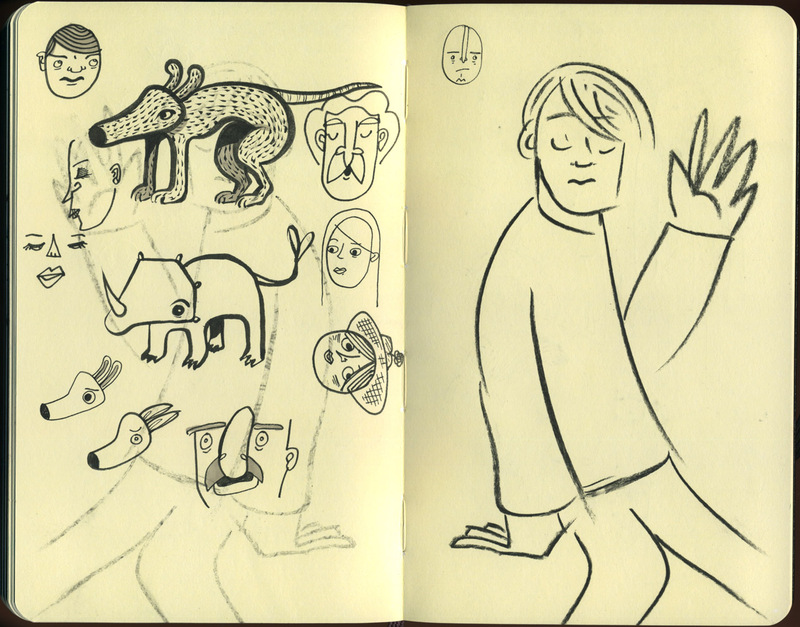 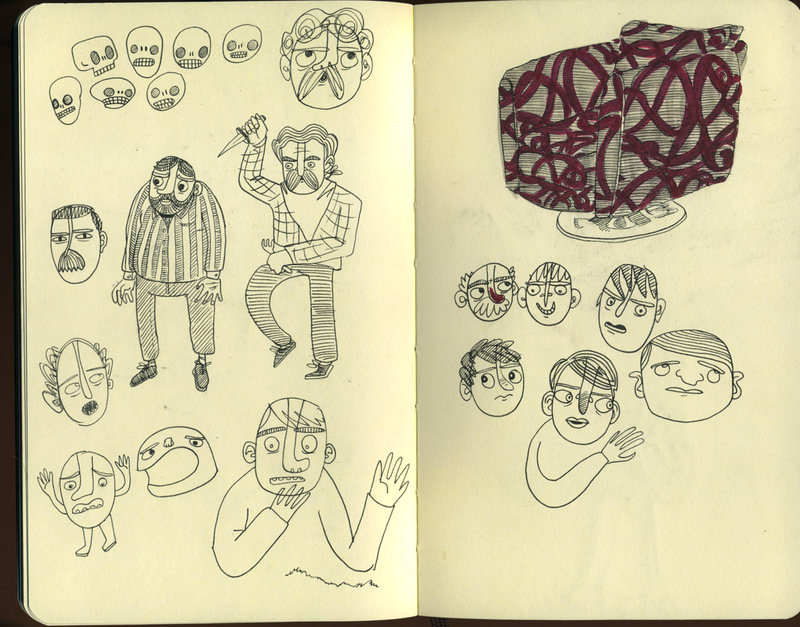 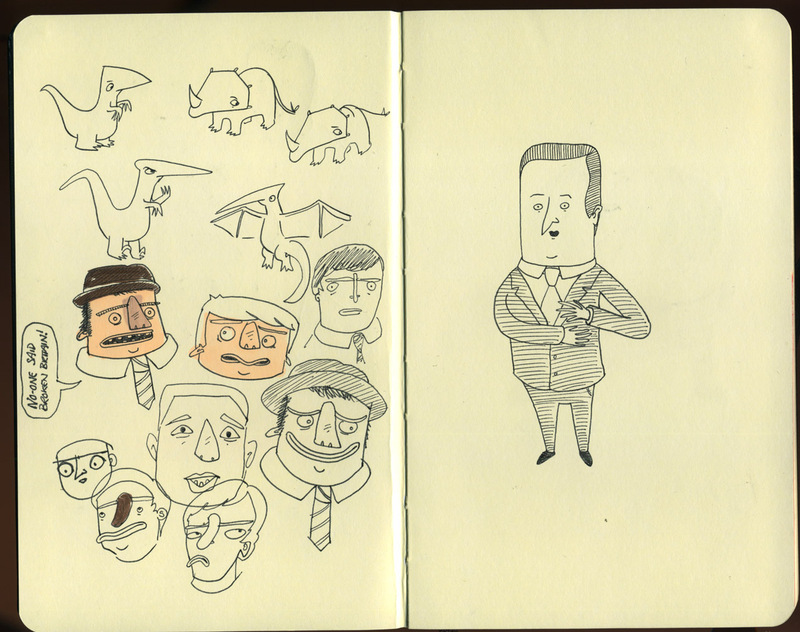 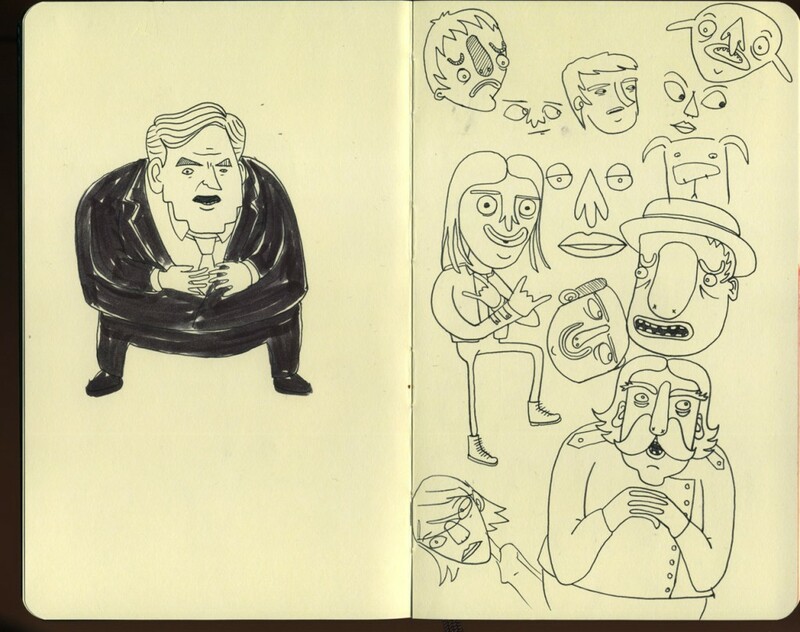 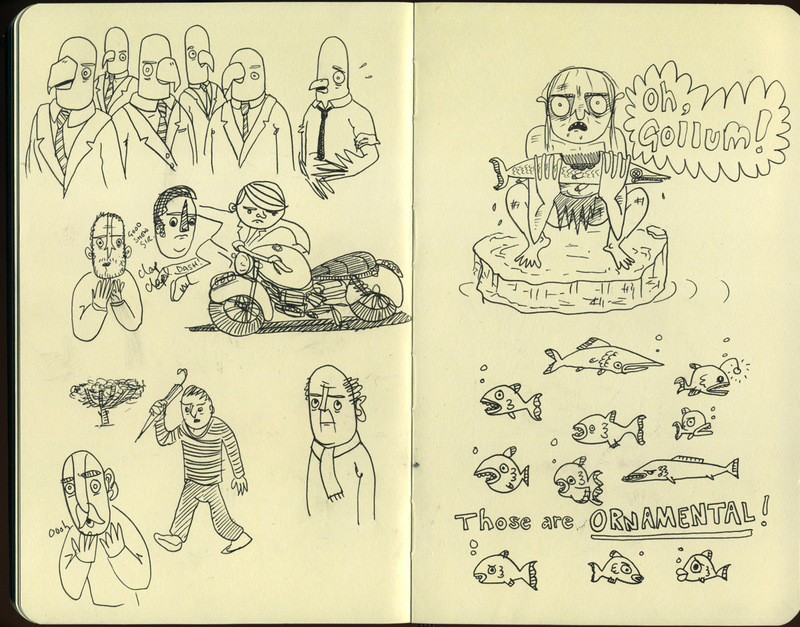 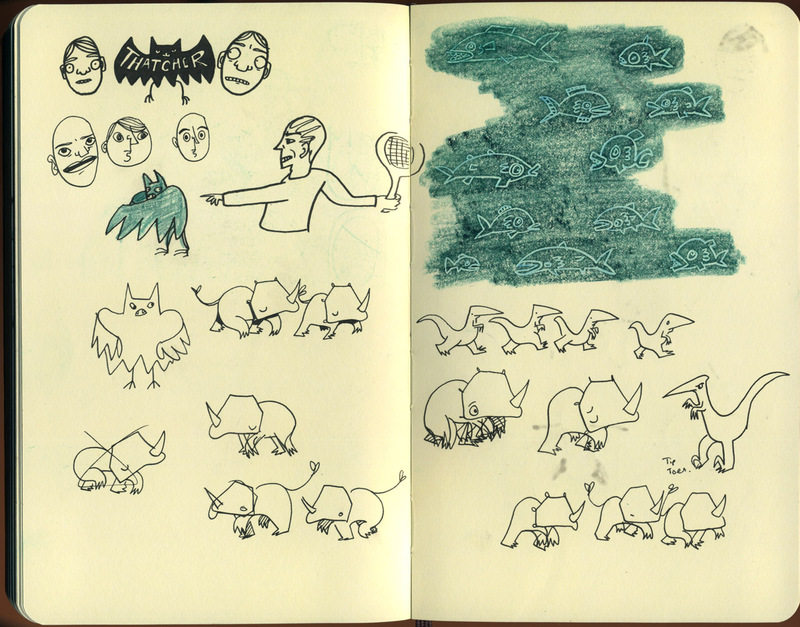 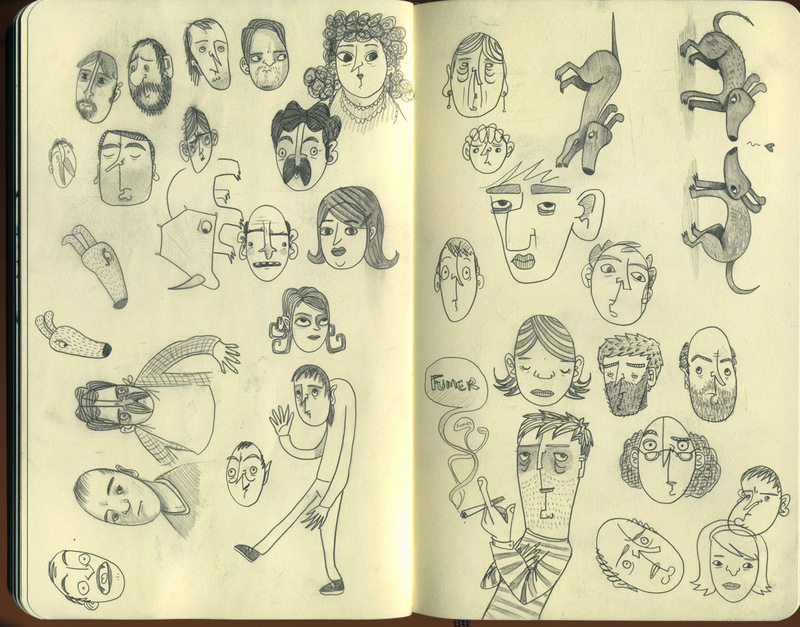 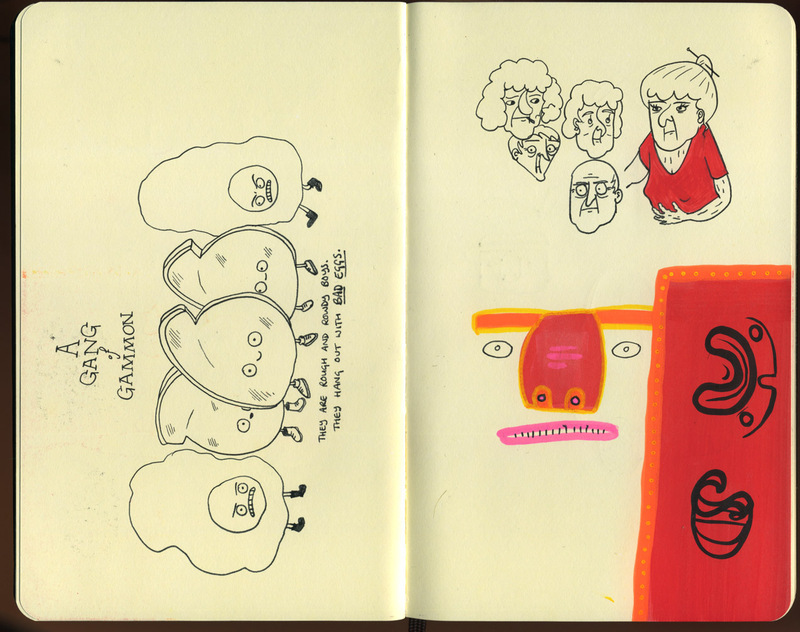 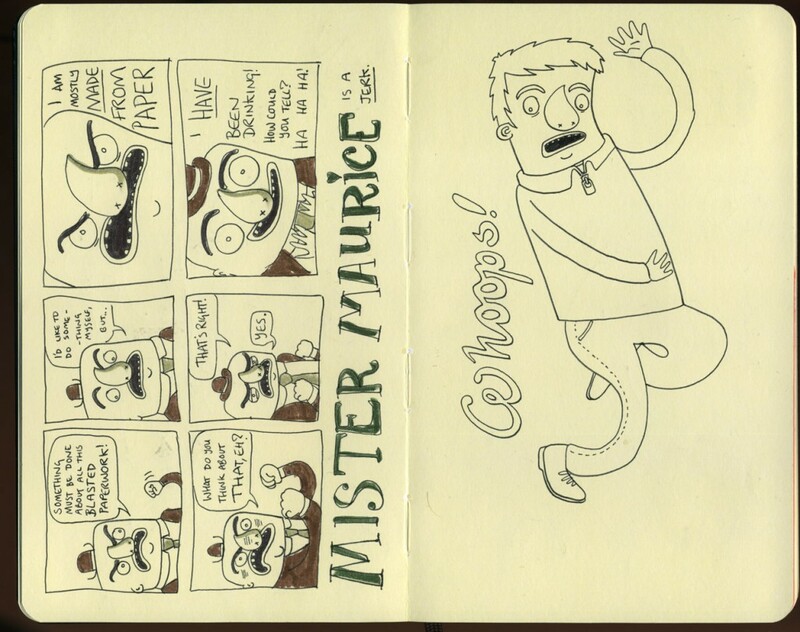 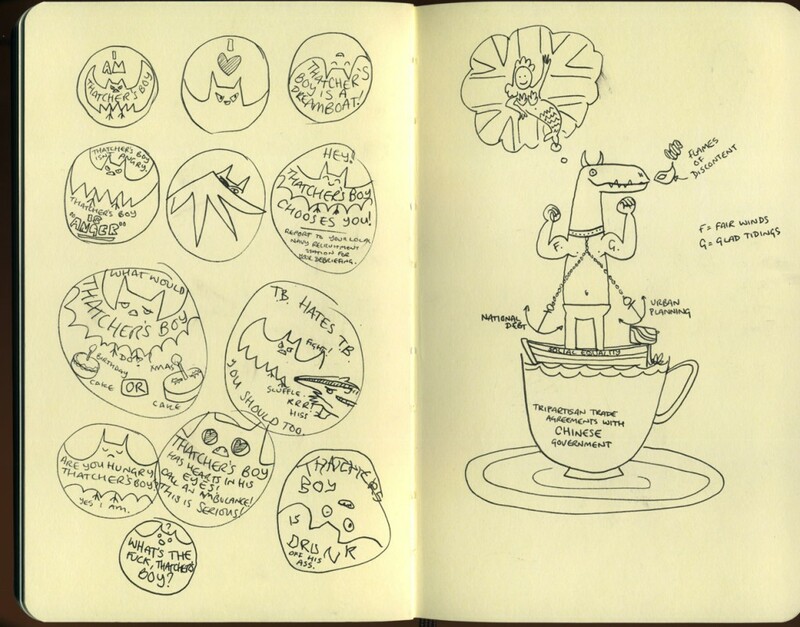 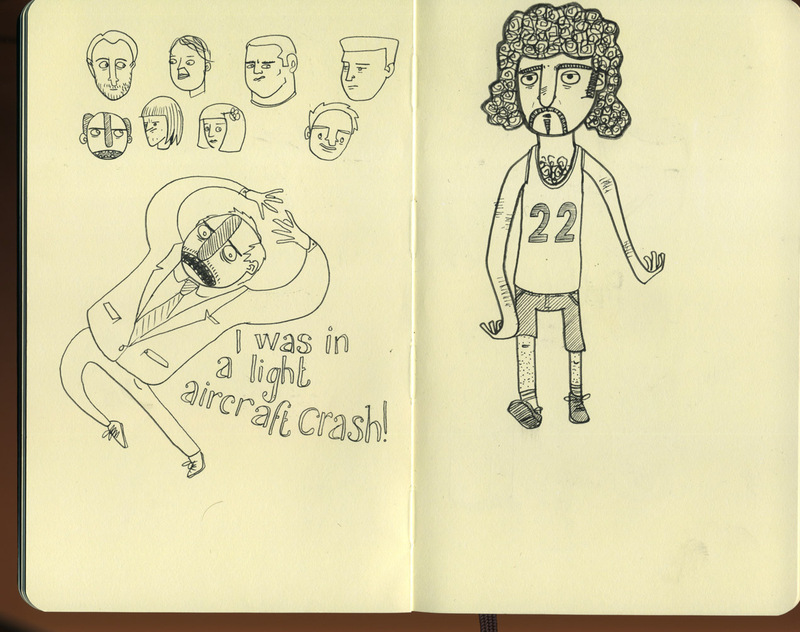 If you browse through this sketchbook, you are bound to find some really terrible drawings. 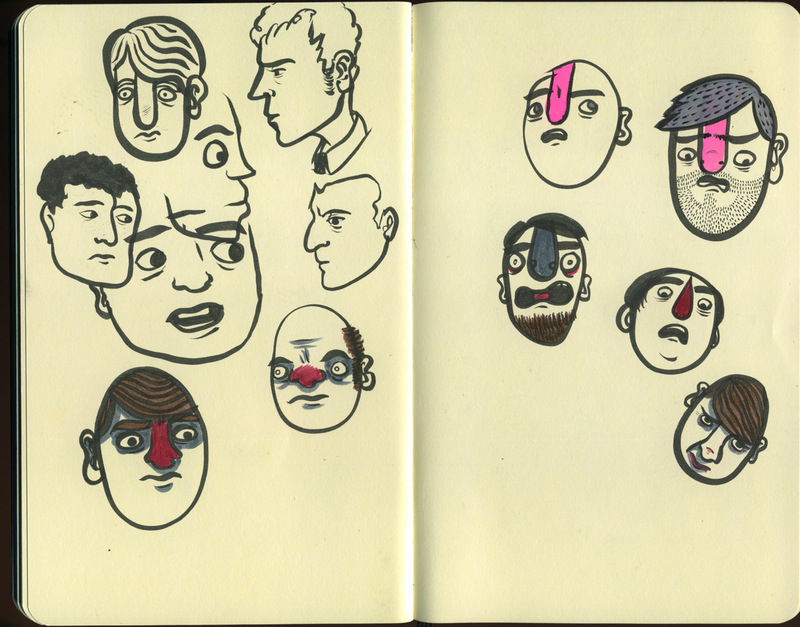 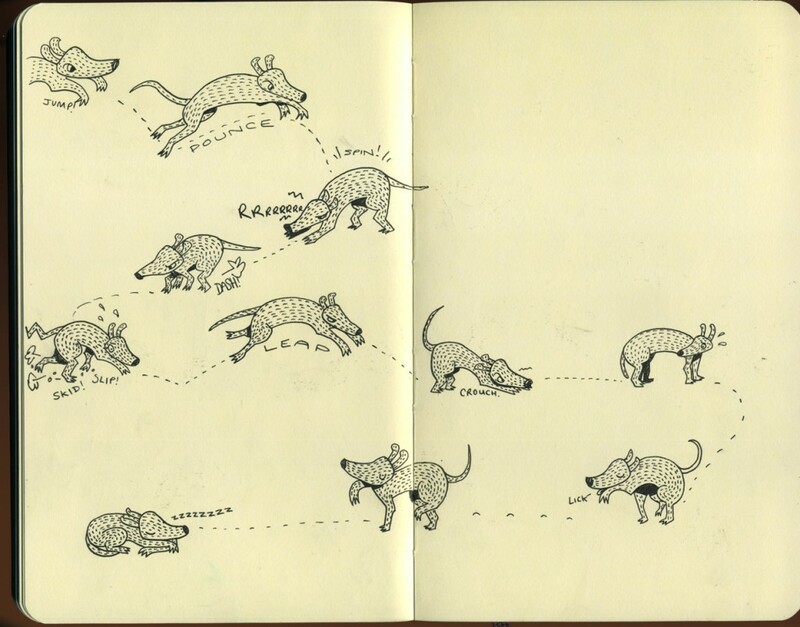 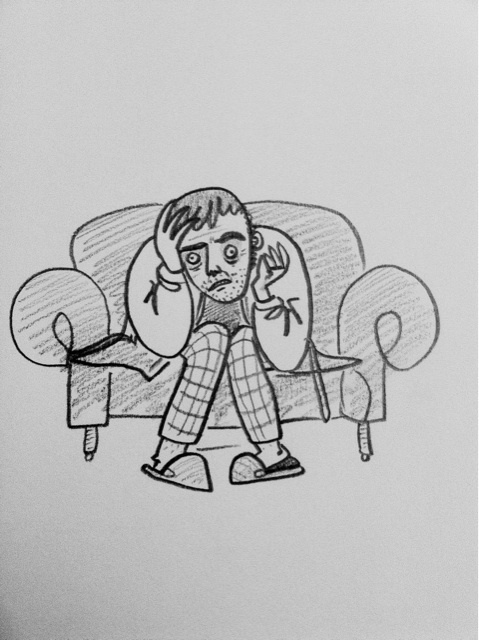 I used to tear out terrible drawings, but now I find them useful reference for what not to do. 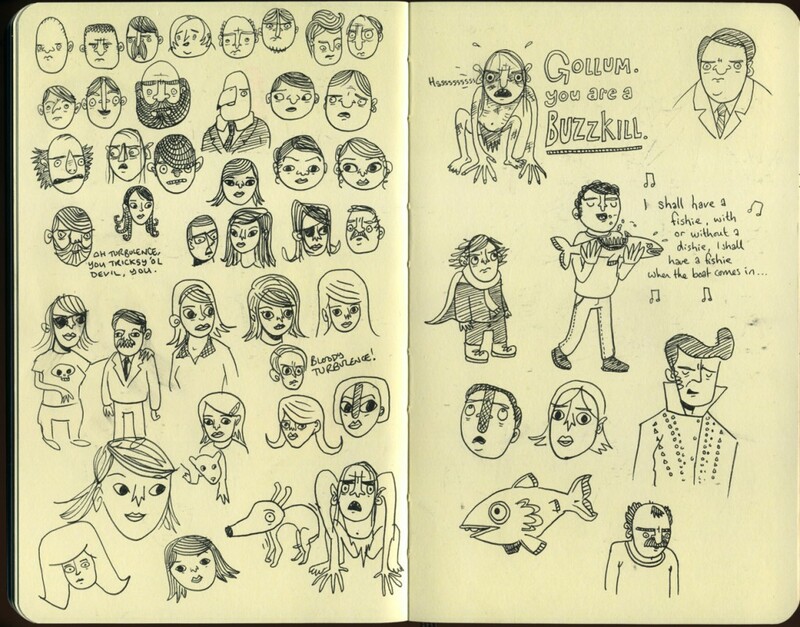 A sketchbook should be a place where you can get things wrong, not necessarily get everything beautifully correct each and every time. 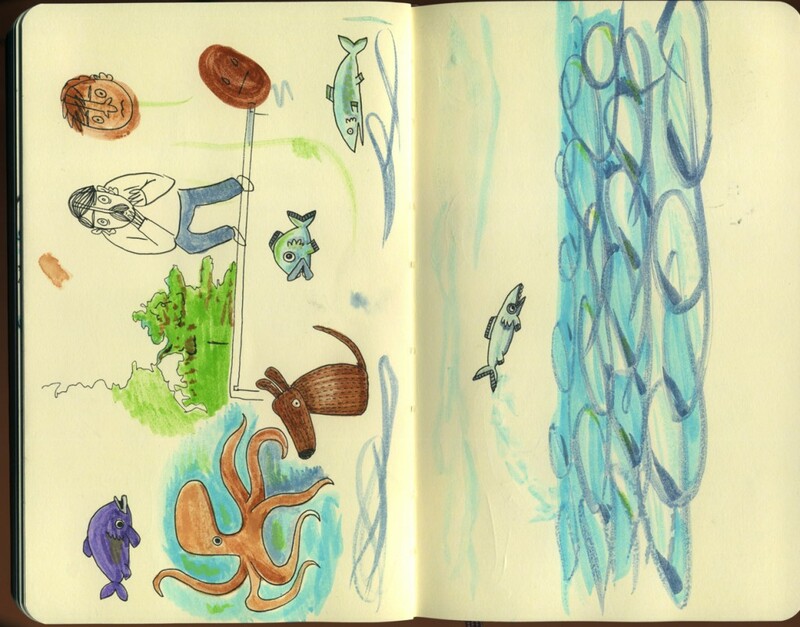 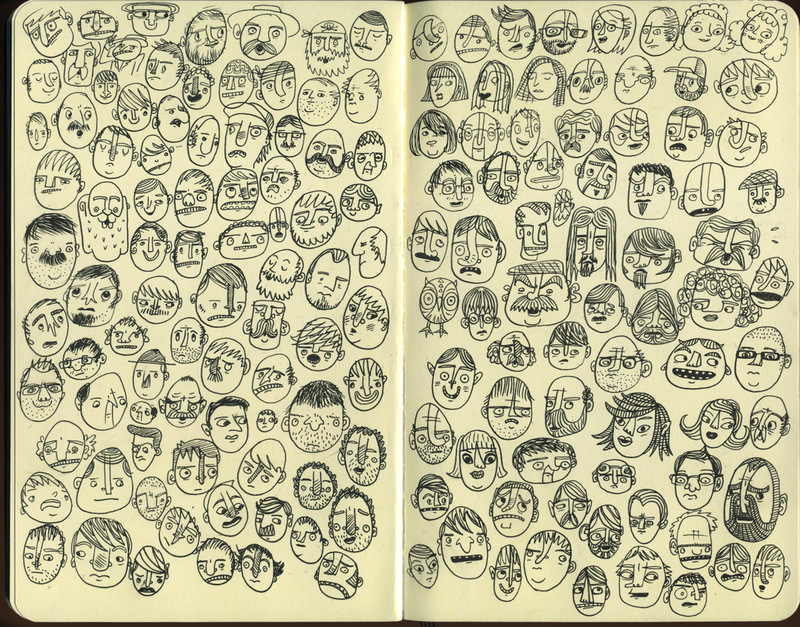 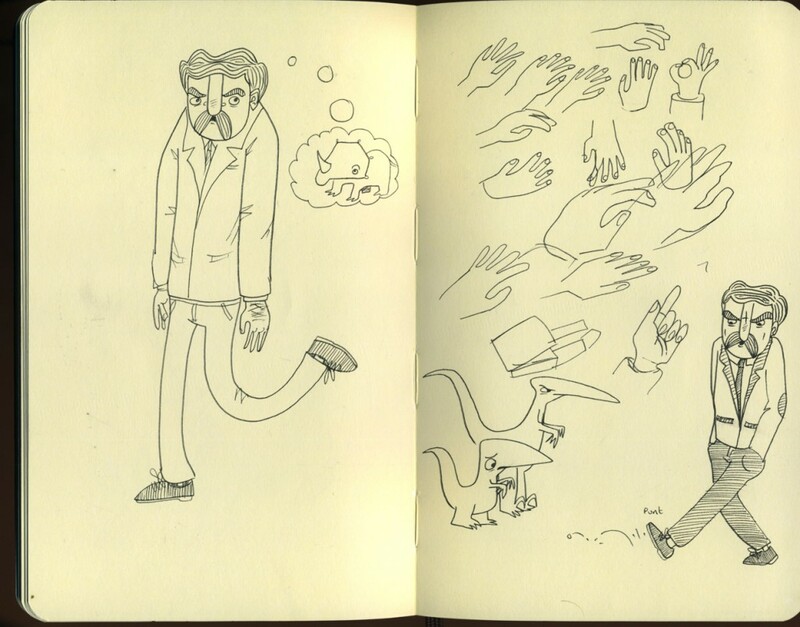 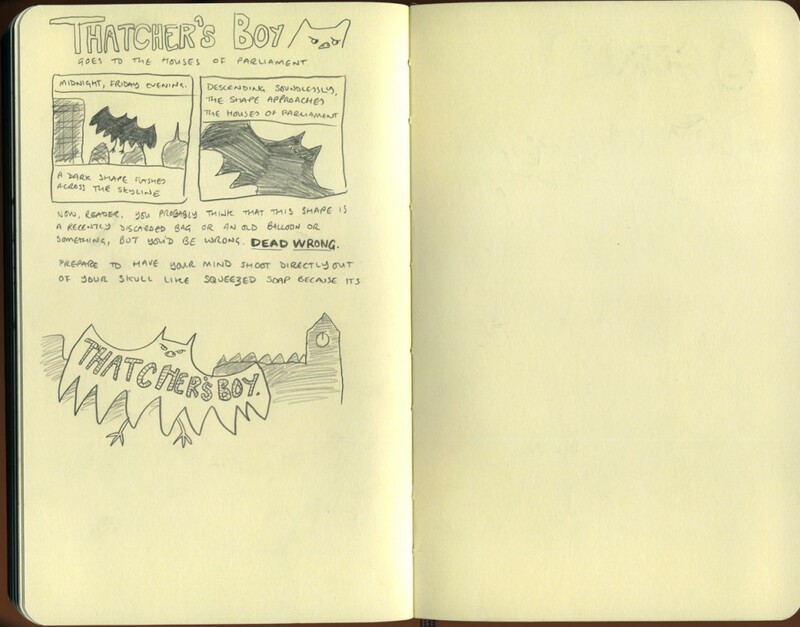 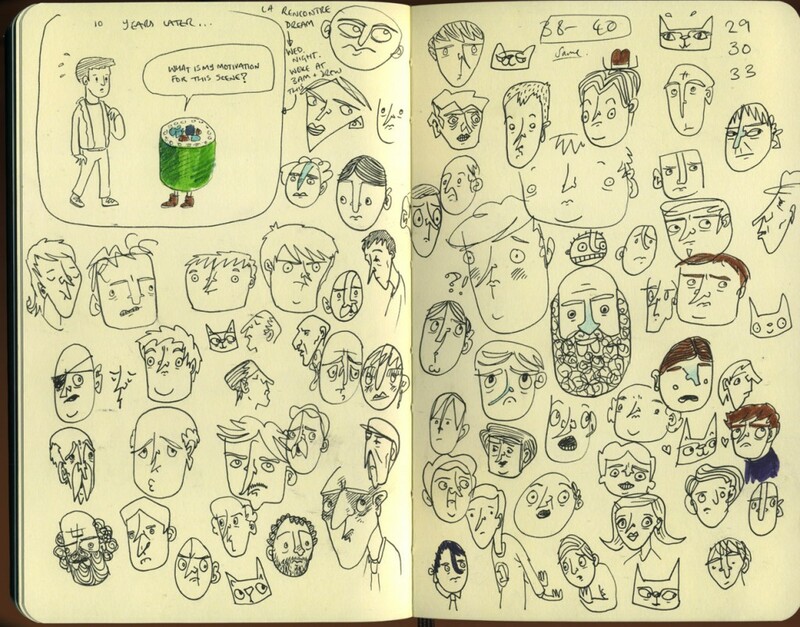 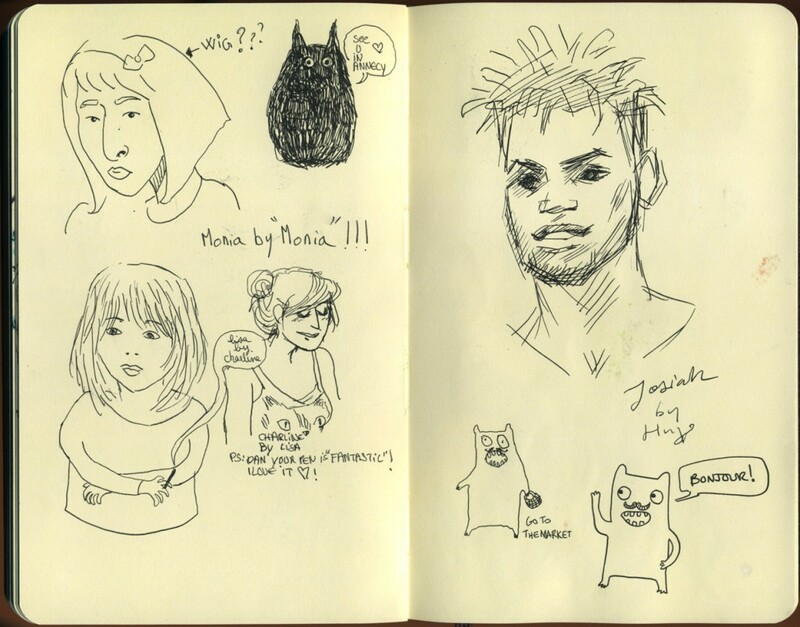 I remember throwing out sketchbooks that I had somehow ‘messed up’, which now makes me cringe. 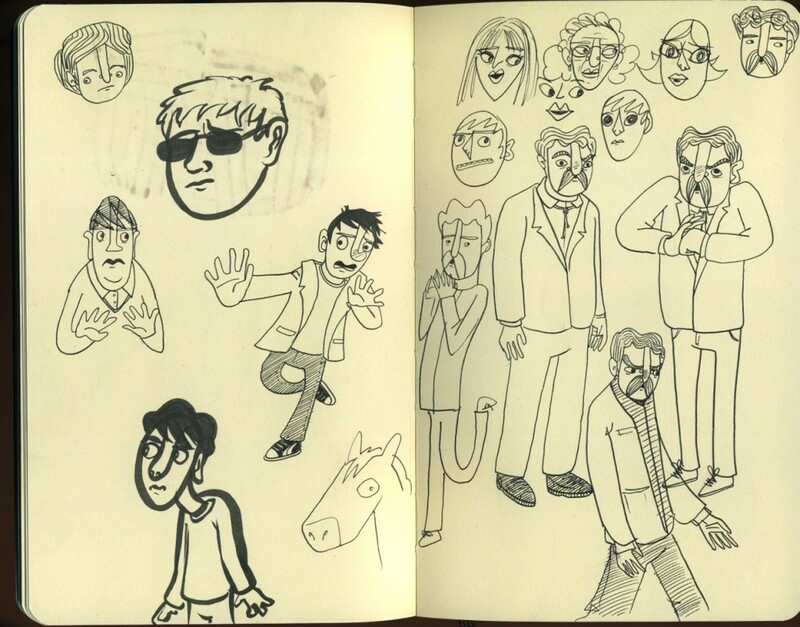 Throughout this book, you can see that I’ve tried things out, with what can often only be described charitably as a ‘variety of success’. 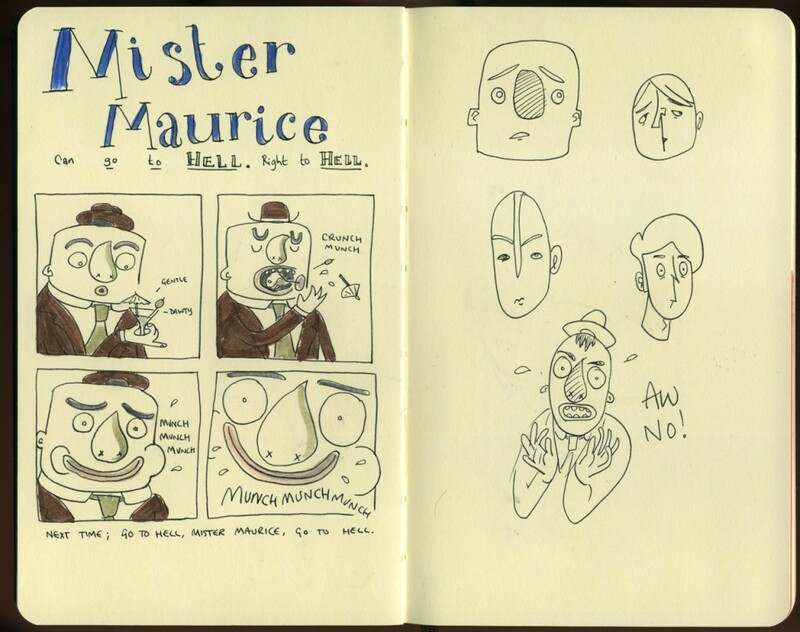 I have used this book to work out characters, practice observation, toy with new drawing supplies, work things out, have fun on long journeys and attempt to make the people travelling with me laugh. 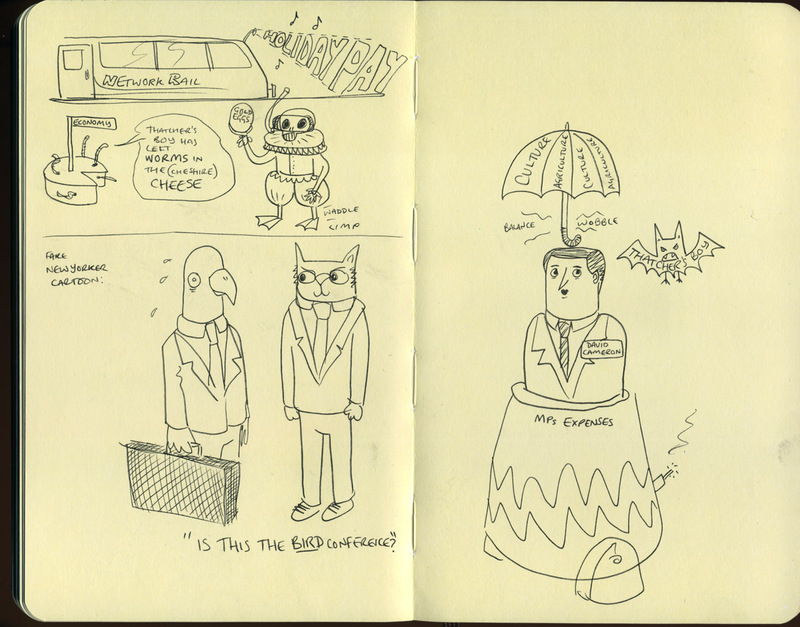 (again, with a variety of success) I don’t really remember drawing much of this book. 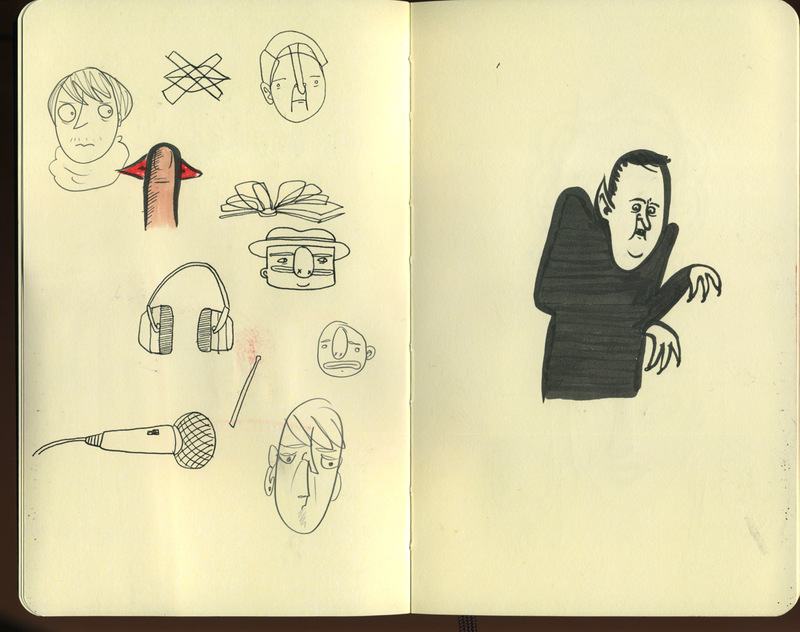 I can remember where I was and who I was with, but not much of the actual moving the pen about stuff. 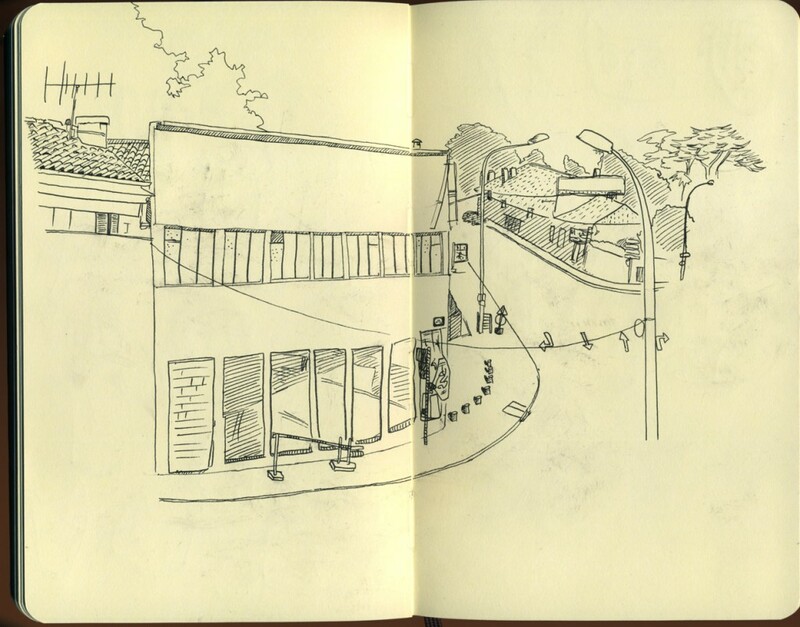 I think of a sketchbook now as a miniature playpark that you can carry around with you all the time, and although putting this sketchbook up online for everyone to see is quite difficult and potentially a bit embarrassing, I’m quite pleased with this one. 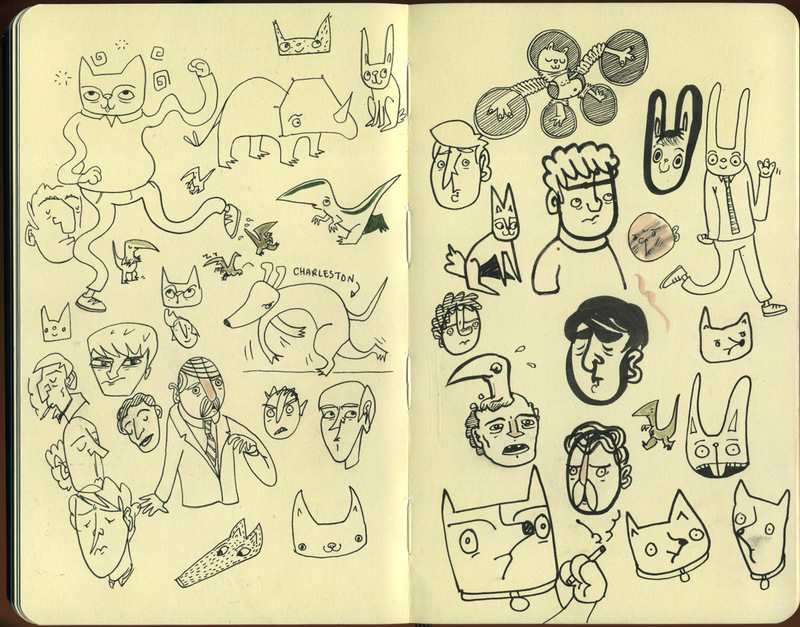 Not necessarily the quality or quantity of the drawings, which can always improve, but with what I think I’ve learned doing it. 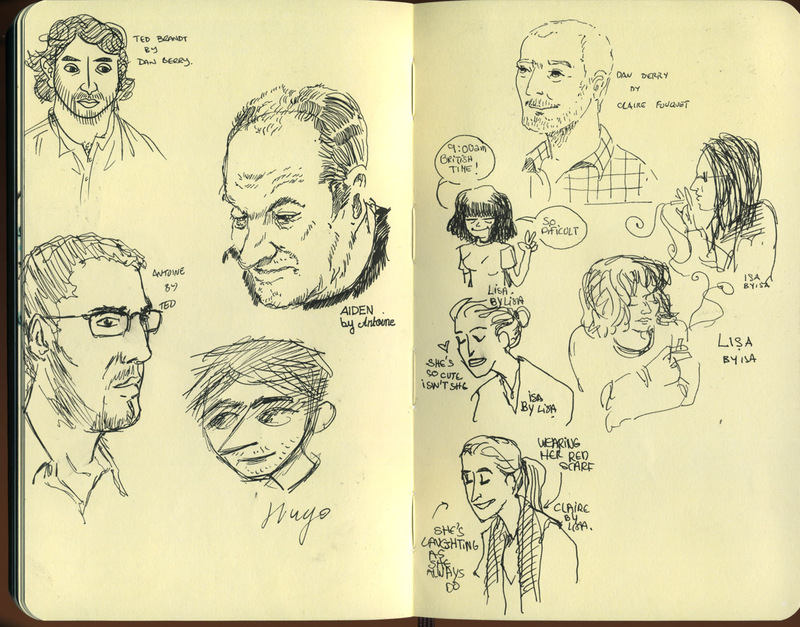 The majority of the drawing in this book as done with a Sailor Recruit fountain pen, which I cannot recommend highly enough if you want an ever-so-slightly variable line width and a very predictable ink flow.